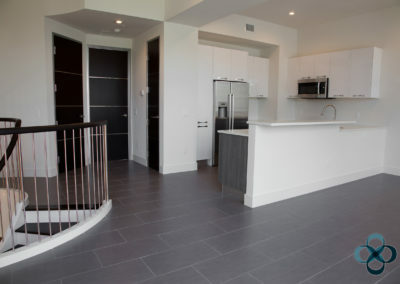 The Q, is one of Sarasota’s newest, luxury communities. 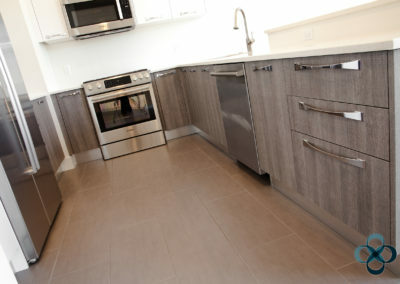 These masterfully constructed residences offer an incomparable lifestyle in an intimate community. The innovative architecture and style is what makes, The Q’s design inspiring and distinct. SEM FIM worked with Jim Bridges of Jebco Ventures, Inc., along with designer Kurt Lucas, owner of JKL Design Group and Storie Construction Group to bring to life their forward-thinking vision for The Q. 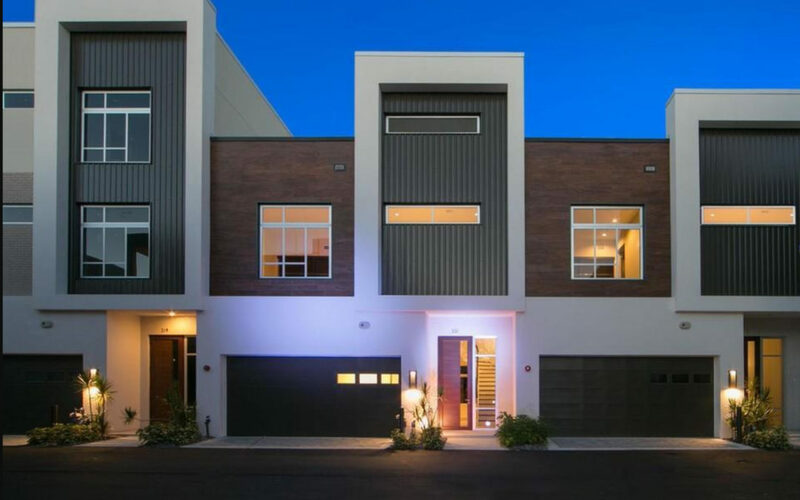 The dramatic architecture and masterful construction is reflected in the elegance and style of its interior doors, kitchen cabinets, counter-tops and bathroom vanities. The dark wood interior doors and closets, smartly contrast the ash wood kitchen cabinets and white Caesarstone® Countertops. Spacious floor plans, soaring ceilings along with an abundance of large windows are the perfect backdrop for these custom designed living spaces. We are uniquely positioned to be your one-stop source for interior architectural packages. Beautiful craftsmanship to your specification is our trademark. 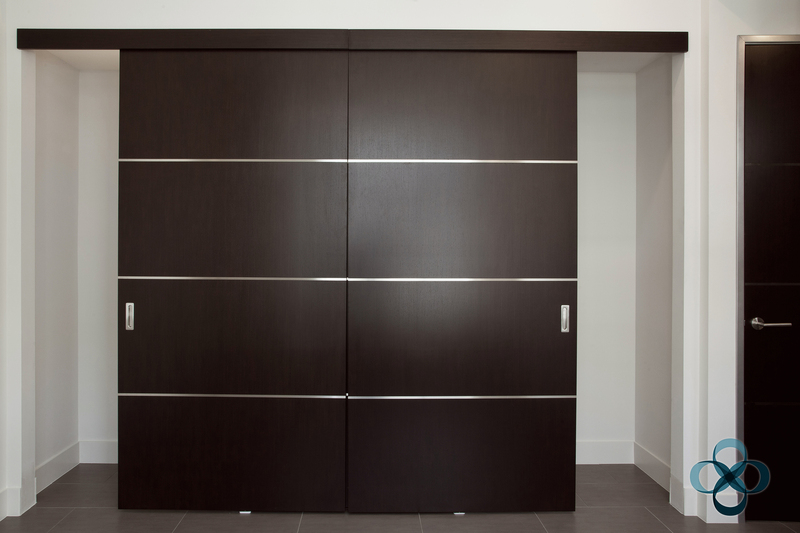 The beautiful Wenge wood veneer sliding doors, with soft close mechanism offer a striking contrast to the crisp white walls and the natural light that streams through large windows. 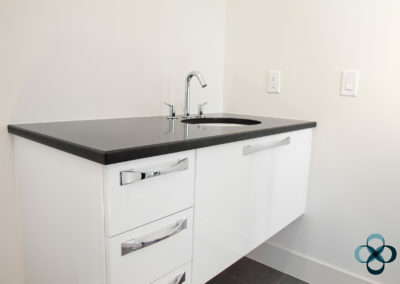 White lacquer bathroom vanities with sleek, chrome, over-sized handles and fixtures were partnered with black Caesarstone® Countertops. 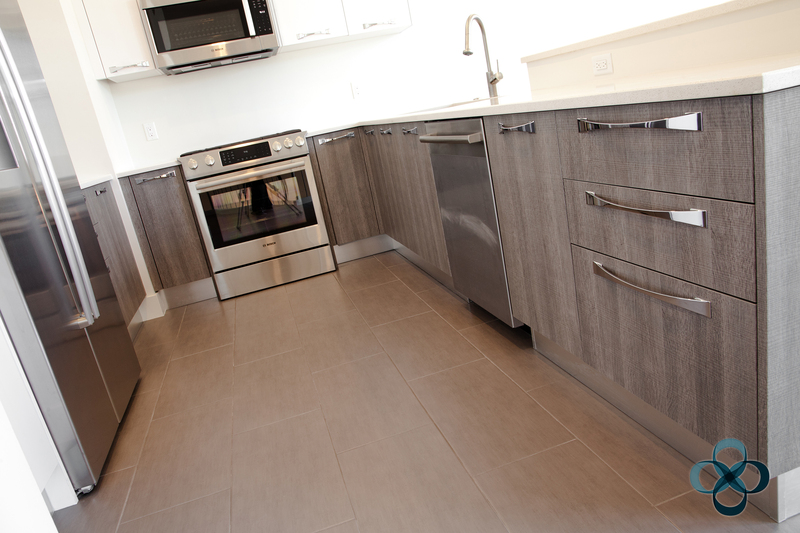 Modern wood grained, ash grey kitchen cabinets with over-sized chrome handles were paired with white Caesarstone® Countertops. 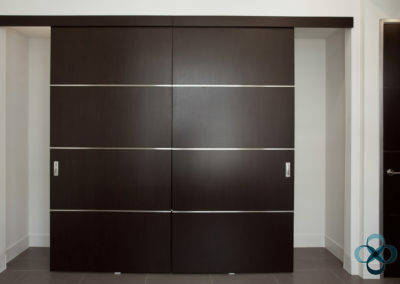 Smooth dark wood, flush stainless steel inlayed interior doors compliment the modern design of the spacious floor plan. Contact us to discuss your upcoming project. We bring great ideas to life!